I think we attempted to put our first child in the church nursery about 3.2 times before we decided we were just going to keep her in church with us and teach her to sit still. She cried a lot in the nursery and so I kept having to be called out with the little pager to go and calm her. She missed me, so keeping her with me seemed the natural thing to do. At the time we were the odd ones for doing so. Our philosophy? Children had to learn how to sit still for thousands of years, and we found it strange that it is only in our modern culture that children not being able to sit still is somehow suddenly the accepted norm. This isn’t for everyone and that is fine. Church nursery is a personal family decision and I honor that. We are now in a family integrated church so nursery is not even an option for us. Family integrated church is church where families are not segregated by age. Families “do” church together. In our church all of the children sit through the service and where moms and dads do get up and down to tend to the needs of their children for the most part it is surprisingly calm for the amount of small children during a 2 hour service. It is possible! Here are a few tips I have learned that seem to work for families I know as well as our own to help teach children to sit still. Start Teaching Them When They Are Young: You cannot expect a child at the age of 5 to suddenly sit still if he has not been expected to before that time. It is a process of learning so start immediately. I know some mommies who do “blanket time” even as a baby. Teaching their babies to stay on a blanket space by just repetitive action. If you now do not have the luxury of starting young that is okay! Look below for a few tips! Start Teaching Them At Home: Consistency is one of the most effective tutors in my book. Schedule sitting still times at home each day during the week to help train your child. Meal times and family devotions are more obvious ones, but plan extra times of reading and maybe even listening to audio stories to help train the child to sit still and to listen at the same time. Explain the Ground Rules: With smaller children this is much more difficult if they do not have the ability to converse quite yet, but it is always good to get into the practice of explaining rewards/ consequences for behavior with your children so that they know if I do this then this is going to happen. Explain these ground rules OFTEN, at home and one your way to church each Sunday. Limit Warnings: Not everyone will agree with me on this and that is fine. I find that the more I warn my children that they “are about to be in trouble” the more they misbehave because they are seeing just how far they can stick their big hairy toe across that line. I also find the more I warn the more flustered I become and that is sinful on my part. I believe that one warning is sufficient, because children should learn to obey immediately in the same way that we are called to obey the Lord immediately. Guard Your Children: When a child does misbehave guard them with love. Do not make a scene about their misbehavior. Quietly remove them from the room and talk with them in private. Depending on the consequences needed those are usually best explained and/ or delivered not in the public eye. Small Children: My best advice for small children is not to obsess. This is a marathon not a sprint. For really ages two-and-a-half and under when talking is still not at its height, sometimes you might need to just have a reboot session. A child at these ages are hard to keep sitting still and that is okay. Work with them in patience. If you need to leave the church building and let them run a few circles outside, then come back in and try again. Sometimes I have found that having snacks on hand or something for their hands to do like a fine motor skills book or something of that nature will help to keep them quietly busy. Older Children: Engage these children about the sermon. Ask them to take notes if they are of age. Talk as a family about what you learned that day. Starting Late? Is this a new conviction that you would like to have your children sit with you in church but you are just not sure how to go about it? It is not too late! I think that all of these things above still apply. Lay out the ground rules. Have patience and PRAY! Pray with your children that God would help them to sit still and enjoy the service. Engage your children about the sermon, and help them to understand that church is not meant to be boring. It is meant to be a time to come together with our brothers and sisters in Christ and learn from the Word of God. One last BONUS important piece of advice I have is to not expect each of your children to be the same. We all grow and learn at different rates. You know your child the best. Have patience and try different methods to find which fits that child best. For instance, snacks worked with one of our children when a little time out in the church hallway worked with another. Every child responds differently, and we must be flexible as parents. Parenting is not a one-size-fits-all kind of deal. I think it is always important to remember that without the Holy Spirit working in our children, our children are unregenerate. We cannot expect the unsaved to act saved. We want to be very careful in this area to not exasperate our children to the point where they despise both us and church because of legalism, yet we want to train both their bodies and hearts to be fertile for the Word of God to fall upon. It is such a fine line and it is why we must rely on the Holy Spirit fully. You cannot train your children up in the Lord unless you are saturated in the Lord yourself. What Is Your Experience with Church Nursery or Teaching Your Children to Sit with You in Church? I Would Love to Hear Your Advice! Lindsey is a stay at home, work from home mom to six children eight years and younger. She homeschools and enjoys large family living. When Lindsey is not changing diapers, cleaning, and cooking meals in her awesome Instant Pot, she is DIY-ing her way around the house. 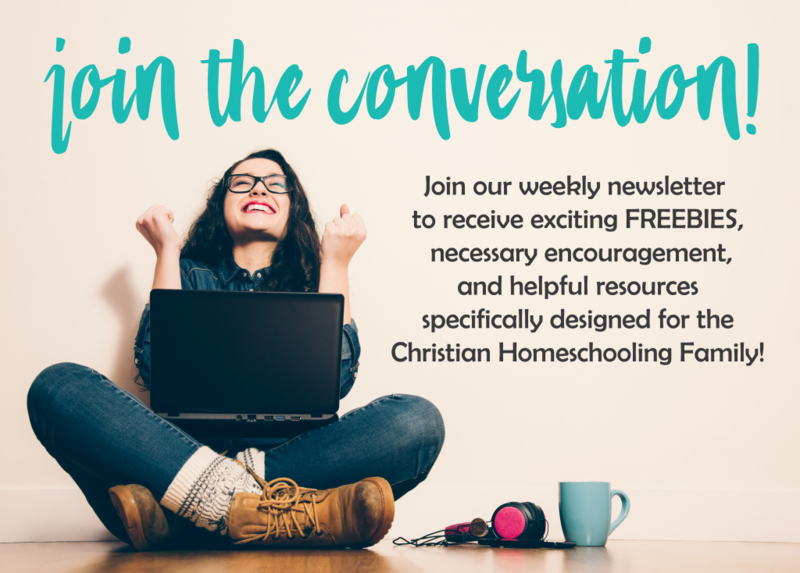 Where she loves learning new skills, her heart is in sharing with other women the message of the Gospel and showing them how to instill those truths in the hearts of their children. 5 Ways to Love Your Mom When You Live Far Away & A Mother's Day GIVEAWAY! Great article, Lindsey! We’re making progress with our little guy, but it’s always encouraging to hear from other people who also want to teach their little ones to sit through church! Thanks Cheryl! That means a lot. Yes, it is something that we are still learning about how to do, as each kid is so different, but so far it is working for us and many others in our church! I understand the spirit of this article, and agree that children should be taught to sit still in church while young. I also agree with some of the methods & philosophy behind this. However, there is one thing I want to point out to hopefully be a help in balancing this article’s over all tenor. In our church, as in many, the church nursery is a boon and a help to so many. There are seekers, new Christians, unsaved people, and etc. who will never come and be under the sound of God’s Word if you don’t have a nursery, simply because they know their children are out of control and it would be basically pointless for them to attend church as they know they will be spending the whole time in crowd control mode and not actually participating in the service. Some come to church seeking moments of peace & instruction. I know this for sure because I have family members & close friends who have not gone to church for years because the churches in their area they would attend are family integrated and they describe it as contained chaos where they cannot concentrate and it is exhausting trying to filter all the distractions. While it is true that in the past this standard of self discipline was widely met and expected, we are no longer living in that age, and, even in school, talk is intertwined with action etc. So my point is, while I agree Christians should be training their children in this way, I think it does damage to completely do away with the ministry of nursery. Our church, in my opinion, has a very good balance on this subject. We have a nursery provided up until age 2. The service following their second birthday, the children are then in the main services with their parents, and are taught to sit still. Classes by age are offered on Sunday morning only. All other services 2 and up are with their parents worshiping with them. During the Sunday morning service our pastor specifically spells out the gospel and God’s plan of salvation, whereas in the other services he speaks more to saved people on teachings that will help them walk with God more and grow in knowledge & on family life, etc. I don’t think anyone would argue the point that you don’t want any distractions when a person is interacting with the Gospel for the first time in their life. With younger children being taught on their level elsewhere, it frees pastor to speak more candidly and call out sin for what it is without fear of being inappropriate in a mixed audience. Let’s just be balanced in how we approach these issues, shall we. I am sorry that you must have missed that I very clearly stated that church nursery is a personal family decision in my book and I honor that. I have attended many churches that have a nursery and I am not against them. Nothing in this article in any way, shape, or form put down the use of a church nursery or the workers who so faithfully serve the church in this way. This is just how our family functions and our church chooses to do things. I was hoping, for families like ours, that I could give a little bit of help, that is all. Thank-you for this article. My father-in-laws church is very small and doesn’t have a nursery as my kids are the only ones young enough by at least 12 years to even need one. So when we go to visit his church we have no option but to keep them in the service or I take them out (and there really is NO WHERE to take them but our car). I’m praying that I can teach my 2 year old to start learning to be able to sit quietly during the service so I don’t have to sit in the car whenever we visit. I agree with you. People think im crazy because my kids have been taught since 1 year old to sit & listen, not to play & distract. The bible says train them up in the way they should go, not let them do whatever then retrain them right. I agree church nursery is a personal family decision, and I’m SO thankful my church has a nursery! We put our daughter in it when it was needed (starting at about a year). At about a year and a half, we started what we call “pew training” when my husband is not part of the worship team that week. While the author of the article does not state explicitly it is wrong to put one’s child in the nursery, some of the comments here seem to indicate it is weird to do so (and I kind of got that feeling from the article, too, but maybe that’s just me). I think it’s odd to expect a one-year-old to sit through church. You can have expectations all you want, but there are expectations, then there is reality. There are several mamas at my church who keep their babes with them all through service, and that works for them. For me, sometimes, once in a blue moon, it is nice to sit and be able to concentrate on hearing God’s word because I am losing my mind and this is literally the ONLY thing that is saving my heart in that moment is being immersed in Him. That is my personal experience. Jess, I am sorry that you got that vibe from the article. I don’t think it is weird at all. It is something that we have just chosen not to do and we know a lot of people who have chosen to do it as well. We attended a church for about 2 years before moving that did not provide a nursery at all. These were things I learned during that time for how to teach my children to sit still. We are no longer with that church but we still keep our kids with us. I have a 1.5 year old that still must be taken out because she gets fussy. I don’t think you expect a 1 year old to sit still, it is a learning process and sometimes we would spend 5 services in a row at the back of the church with ours as well as other parents doing the same. I will tell you what a victory it feels like when you near 2 years old though and your child does sit through church for a whole service without a huge issue. I was just sharing our experience in hopes that it might help others who choose to do the same. Thank you for this article! I’m a pastor’s wife with three kids (8, 4, 1) trying to train them to sit in church. The 8 yr old does a good job but my 1 year old is a handful and my 4 yr old takes advantage. I’ll definitely be implementing some of these tips! I do believe children need to learn how to sit and have self control. I have taught mine since they were babies using the high chair. Mine have learned through other life experiences doctors office, meal times, visiting friends and family, etc. I do encourage the children’s nursery and children’s ministries. I think they are wonderful tools for our children to learn about God and Jesus on their own level. The nursery helps parents have time to focus on their own worship without the distraction of babies and toddlers. 2 and up children can learn so many things, I’ve seen it. It’s amazing! Many churches who have children’s ministry teach them to worship and give them an age appropriate Godly lesson they can learn and use. I’ve seen the fruits of labor. Believe me there is plenty to talk about. We all share what we learned and it peaks everyone’s interest to dig more into the word. While I understand family church, we now are in a church where we have to do it in the summer. Children’s ministry is worth it. As a volunteer, it grew my faith to see God work in His little hearts and showed me His ways are wonderful. I’ve seen many children grow in their faith. God is good! I like how you advised to start teaching children early how to sit still. Like you said, they’re not going to wake up one day and be able to sit still through an entire church meeting. They have to be taught how to be quiet and still starting at a young age if you really want them to listen. Thanks for all the tips. During the sermon my 7 month old daughter is quite happy to play quietly on the floor on her own for now, but I’m definitely thinking ahead for when I’d like her to be sitting in mine or Husband’s lap or next to me through a service. I’m going to start practising at home too! I’m a tad excited to teach her this invaluable ability. Awesome post, great tips! I can never remember a time that I was led to a nursery or a kids section. I was always taught to sit alongside my siblings and attend church. Thanks so much for sharing! You make good points about using prayer and realizing the difference in rates of maturity. Appropriate expectations are also important, as you shared. I will be trying these techniques . I am a first time mom & young . I’ve been trying to find way for my little guy because he is extremely busy . When he can’t get down and crawl in the aisle of the church he will fall out & cry . He’s only 10 months so I’ve been researching ways to get him to be still and I like what I read here soo I will be trying this . Wonderful! I would love to hear how it goes!